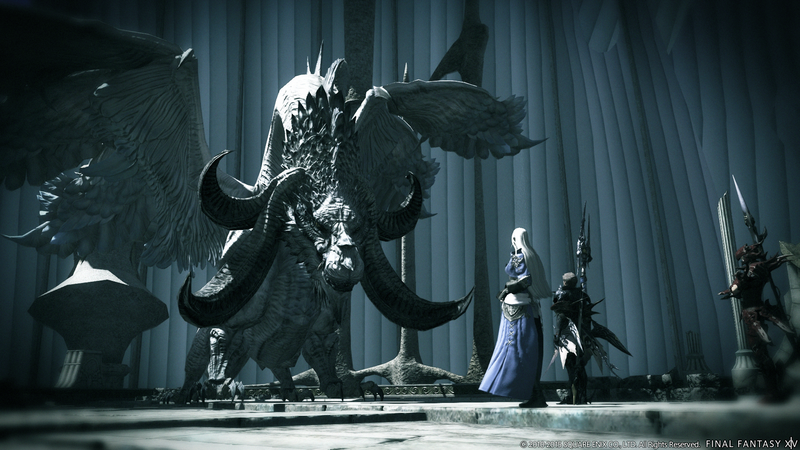 Since its launch back in June, the first expansion for Final Fantasy XIV – titled Heavensward – has been largely a success following up on A Realm Reborn’s reboot of the game back in 2013. 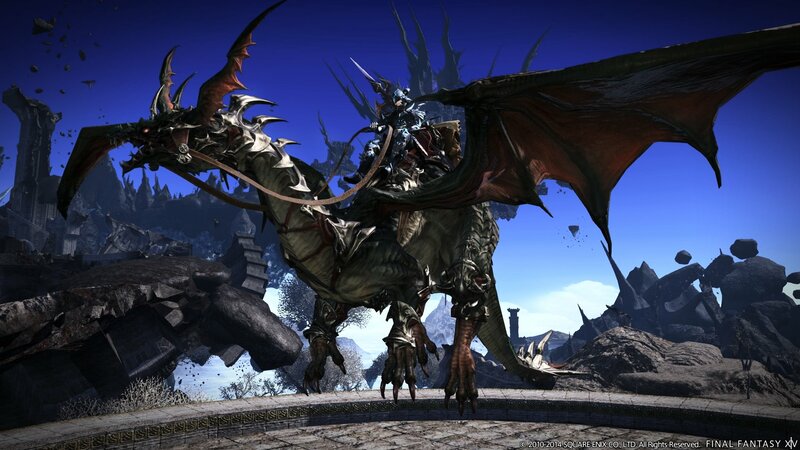 Square Enix has put together a package with great features including the ability to use flying mounts, a new playable race and three entirely new jobs as players experience the main scenario in Ishgard where the war between man and dragon wages on. The new main scenario in Heavenward has captivated both fans of Final Fantasy and MMOs alike – though the expansion is not without its criticisms. Tasks such as side quests and FATEs still can’t compete in quality with the main story. 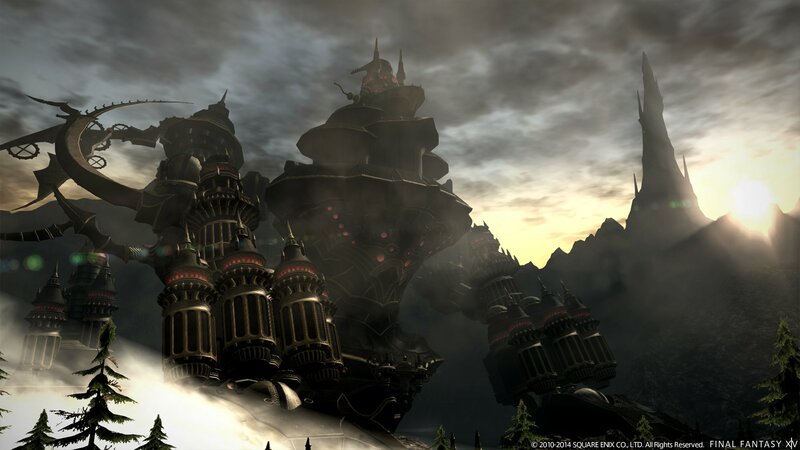 At Gamescom 2015 we spoke with Producer and Director Naoki Yoshida about the concept behind the story, planned improvements to the side quests and the Gold Saucer, a well-deserved vacation, the first hints about patch 3.1, and even a bit on the game’s next expansion. Nova Crystallis: Many have praised Heavensward’s main scenario for feeling like a Final Fantasy type of story – did you draw inspiration from earlier titles in the series with regards to how to approach the story? Naoki Yoshida: We haven’t used any references from the other games for this title. Before Heavensward, the story continued with many existing NPCs, but with the add-on we wanted to focus more on the player character and his fate and who he is going to become. In the past you were more often asked by others to do things and solve problems, while running errands or killing monsters. But for Heavensward we wanted you to go on an adventure with your friends or partners. It may sound too common but it was really important to us. Following the 2.x series Alphinaud is going on his expedition after the betrayal by the Crystal Braves. We also wanted to tell you more about Haurchefant and make this character become loved by everyone. So we put more focus on this storyline. One thing that is really important for a Final Fantasy storyline is to be memorable – having scenes that people really can’t forget. Another concept is the war between humans and dragons. This war is real and there are no hidden betrayals. We wanted to have a transition to something more visible in the real world. We wanted to have a new adventure for you. Thank you very much for your compliments on our story. The scenario team is very happy to hear such great feedback. Nova Crystallis: Previously you mentioned that certain classes wouldn’t be necessary to complete harder content such as the high-end raid. This time, however, it seems like if you play Astrologian with White Mage in Alexander Savage Mode in current gear it will nearly be impossible to clear. Should some players simply wait for more gear or is it important to have other jobs such as Scholar as a backup? Yoshida: I also posted some information on the forums, but we look really carefully for adjustments to the Astrologian. 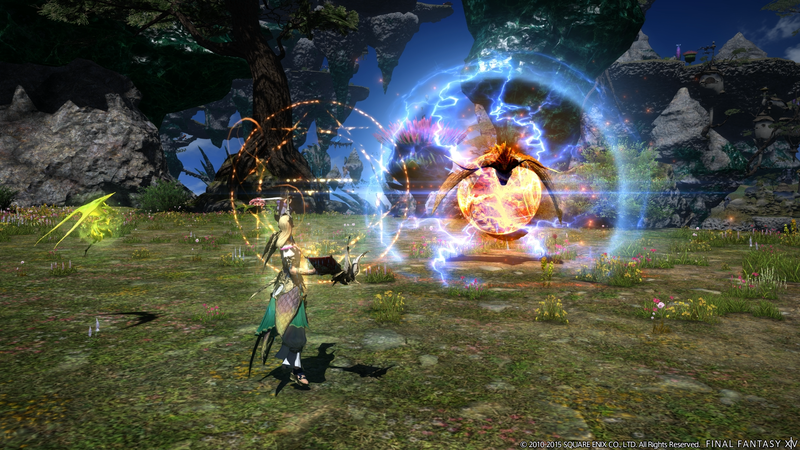 The healing power of the Astrologian is intentionally lower than White Mage or Scholar. The core function of the Astrologian are their cards, but you have buffs to enhance the DPS part, which is something White Mage and Scholar do not have. If the Astrologian had the same healing power as Scholar or White Mage, they both become inferior compared to the Astrologian and that’s something we want to avoid. The team wants to do some adjustments, but we still want to decide whether to add more healing power to the Astrologian or more buffs to make them more stable. Nova Crystallis: Do you plan to make adjustments for other classes or jobs soon, as well? For example, several players still think that the Summoner is a bit overpowered. Yoshida: In terms of DPS it depends on who you compare with. We have to take a look at the overall job balance, for all existing jobs together. Currently the keywords “the summoner is too strong” is going around quite heavily. We haven’t done in-depth comparisons yet, but on the other hand you don’t have enough proof for that. You may got the feeling, but so far there is no evidence. It may depend on who you compare with or the situation. There may be certain situations or types of contents where a class may be stronger or better suited than others. 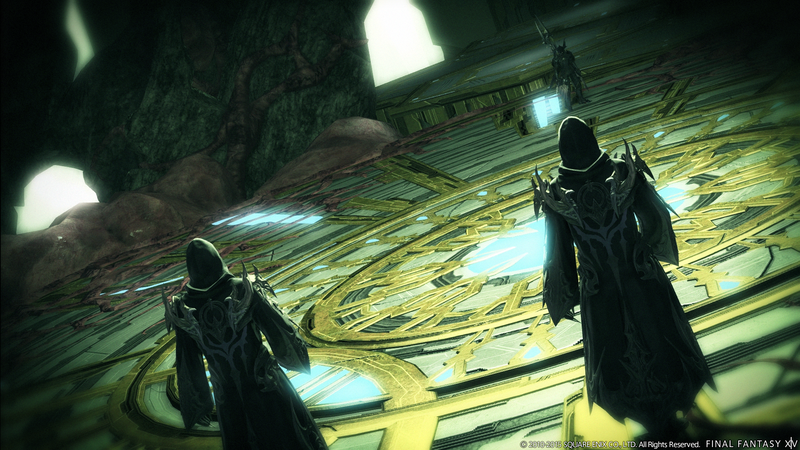 So for example talking about the Savage Alexander Floor 1 – the boss is going to split, there are two bosses. In this situation a summoner can apply multiple DOTs or deal more damage in total. It may seem unfair but I don’t have the feeling that the summoner is too strong. You may basically have the feeling that the other jobs – which you are not using – are stronger than yours. You may need to take a look at the stats and the databases. We have a close look at the back-end of the game and are logging and recording everything. It’s not like we are doing nothing, but we are watching carefully. Nova Crystallis: After you revealed that there will be personal airships in Heavensward, I thought that I could build or even customize them, too. Thanks to the different bardings players got from loot or seasonal events, chocobos can look quite unique already and players can show them to others. Do you have any plans of treating the airship in Heavensward in the same way? Of course there are other flying mounts but the mechanical nature of the airship makes it perfect for alternations in terms of looks. Yoshida: I think that changeable parts or unique single rider airships are an interesting idea. However, the team is currently working on the bigger picture for the exploration of the flying islands with your Free Company airships. That’s currently our focus. Probably after that we will introduce more customization for your Magitek armor. Maybe customization for your personal airship may come a little bit later. I really like this idea! We can’t reveal it now, but the team is even working on something else after the Magitek armor. There is something coming later. Nova Crystallis: So maybe this feature will be the one after the next one! Yoshida: The one after the next one… (laughs) Let’s hope – maybe! Nova Crystallis: What was the purpose in creating so many gear sets at the start of Heavensward? It seems like both Law and Alexander normal gear are outclassed a lot quicker than what we are used to. Yoshida: We wanted to give you a lot of choice. The idea was to create a variety for the players, depending on your skill and the time you spend in the game. Maybe there is a group which is not interested in raids or enhancing the characters – players, who just want to be together and chat with friends, finding some tomestones after a certain time and changing gear after two or three weeks in the game. With our back-end data we can see that these players normally choose Alexander on normal. For those type of gamers, Alexander normal gear is satisfying enough and so they don’t even go to Savage Mode. Those casual players are farming quite low and get low gear. They try to enhance the gear to get ilevel 180 and then they are farming tomestones to get level AF2. After they’ve reached it maybe 3.1 will come so they can build upon their AF2 gear. For top players, who just want all items, you can use the glamours or vanity items. Nova Crystallis: Aside from the main quests, many people got the impression that side quests and FATEs lack in proper rewards or innovation. Both feel repetitive quite often. Do you plan on adding new types of quests or FATES maybe? For example, quests which include more riddles or puzzles to solve? Yoshida: I already talked to the team about the Moogle side quests, because they are quite tiresome and tedious tasks. For the future, we would like to remove this type of quest. There are two points to improve the side quests: First of all, you need to assign a proper story to that side quest. We also want to add more variation to the side quests. For example, you may need to find the highest building in an area and jump off from the top if it. Or you need to carry a certain item and secretly sneak into a building without being noticed by anyone. We think that adding that mini-game type of quests to the game should be fun. I actually talked with the team about this last week before coming to Gamescom. Before moving to 4.0, we have to add more variety to the quests. We want to change this and the flag systems. These are the things we want to improve. Nova Crystallis: The Gold Saucer was a big addition to the main game during the recent updates. Do you plan to continue the support of the Gold Saucer after Heavensward – adding more attractions? Because of the existence of flying mounts, mini-games for them would be very interesting. Yoshida: To stick to the Gold Saucer first: There is a big update coming in patch 3.1. A new attraction will be added, equally in size compared to Triple Triad or the Chocobo Races. It’s going to be really big. Besides the addition of other mini-games, adjustments to the MGP coins and to the rewards you will get through your coins will be made. We even had plans for a mini-game in 3.0, where you had to find rings in the game world with your flying chocobo within one minute to claim a reward. Back then we hadn’t the costs and resources to do it, but currently the level design team is working on finalizing it. It might not happen in the Ishgard area, but it will be an instanced area like the current chocobo races, where you can use flying mounts instead. Nova Crystallis: So far many major quests of the main story can only be done by a single player in an instanced environment. Do you plan to add main story quests, which can be shared by several players? Or do you plan to add little story driven quest campaigns groups can play together? Yoshida: It’s difficult to find the right time for several gamers to play together – it’s the same with the fixed group for Alexander Savage Mode. On the development side it’s not easy to where to put the clear flag. Some might want to play the whole day through, but others can’t. As you have seen during the 2.x series, the development of levels and the progression in the story was the same on all servers. We have the idea of having content shared by several players, which has no effect on the stats, but on the environment only. Nova Crystallis: After a major video game release, I can imagine that a development team usually celebrates the launch with some holidays and moves on with ideas for the next game. So my question would be: Have you had any holidays since the development start of Heavensward? 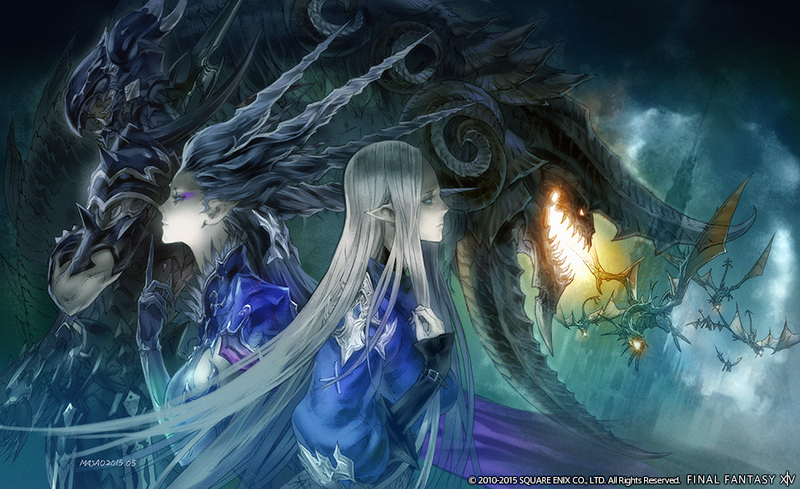 What is next for Final Fantasy XIV? What are your long-term plans and have you already plans for a second expansion? Yoshida: I told the development staff to take some holidays and to have a rest so they can use up all their overtime. For months, maybe years they have worked on Saturdays and Sundays, too. As for my position as a Producer and Directer though it is really hard to take long holidays (laughs). I have three days of holiday, which is quite rare for me (laughs). Yoshida: Yes, three days in a row (laughs)! To come to the second part of your question… First, we want to kick off everything else before we head to the next expansion. The team already decided what setting it’s going to be and what the special feature or focus will be. The first task for 4.0 is to draw the storyboard for the next opening scene. You maybe still remember the opening scene of 3.0 with the dragon. I wrote the concept for this storyboard a year and a half before launch. Right now I have time for the next one and the end of the 3.x scenario is already decided as well. Nova Crystallis: So you already decided about the area or type of landscape the next expansion will be set in, right? Let’s say in the desert or underwater? Nova Crystallis: I know, but there is always imagination! Nova Crystallis: The two year-anniversary is just around the corner. Can you give us a short preview on that event and what you will be showing there? Maybe the big Gold Saucer addition you mentioned before? Yoshida: We will have a digest with all the major new 3.1 contents and artworks. 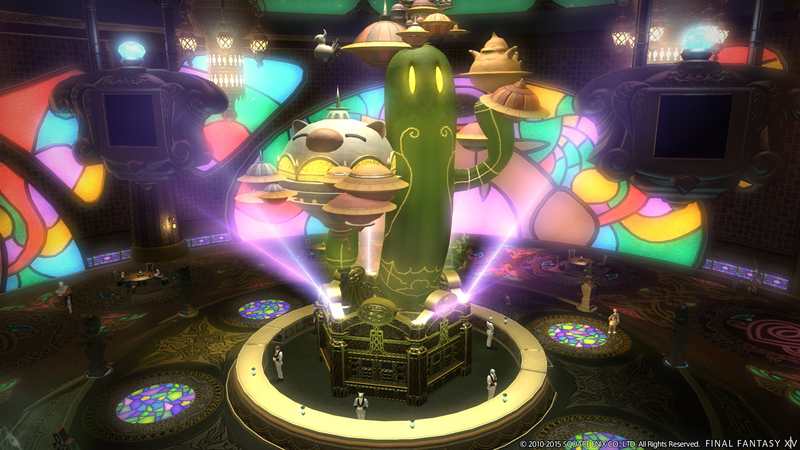 Namely, the new 24-man raid and the big new Gold Saucer attraction will be revealed alongside new visuals. We will also be introducing more updates to the next big patch like the TP status in your party member list. 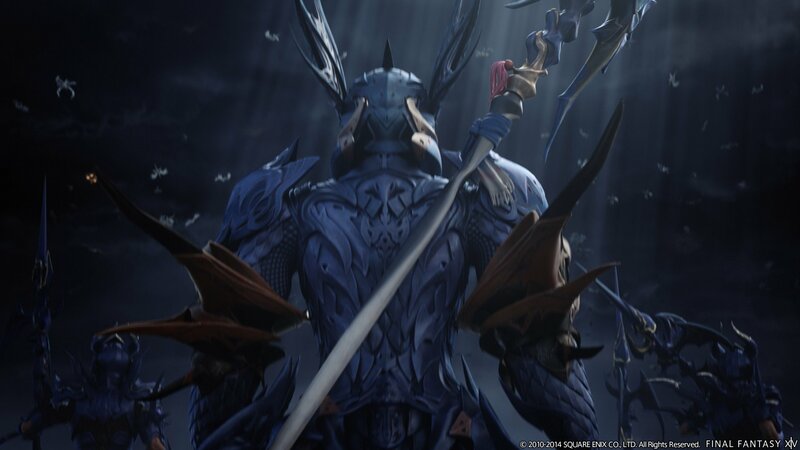 Posted in Final Fantasy XIV, Gamescom 2015, Headlines, Interviews. People think Summoners are overpowered? Are you kidding me? We’ve had the short end of the stick since the beginning. We were so weak before Heavensward that it wasn’t even funny. It’s only NOW in the expansion that we got some sort of AOE burst damage abilities (painflare, deathflare), and while they’re decent, they’re not that much of a game changer. You will still get more damage out of DOT abilities. We simply have 2 new AOE burst attacks to help a bit with mobs. That’s all. Any top team that has a summoner knows that they’re a bit too “good” right now. It’s not a hard analysis for them to do. Also, Summoner has always been good, it’s just that people are so terrible at the job itself.